Selecting cremation does not diminish the important need for some type of gathering that will honor and celebrate the life of your loved one. Paying tribute is an essential part of the grieving and healing process. Cremation, like burial, is a separate event from a funeral or memorial service. Having a gathering is often recommended by grief counselors and families who have experienced a loss. Friends and family can come together either before or after the cremation has taken place and with or without the body or urn present. This provides a sense of closure and offers an environment where it’s acceptable for friends and family to express grief and condolences. A visitation and funeral may be held with the body present before the cremation takes place. It is important to remember that you will need to select a suitable container to hold your loved one during any service at which the body is present. This will be the last time your loved one will be seen, and those who participate will forever remember this final image as they say goodbye to a special life. Therefore, we offer a variety of choices for families who choose to have a visitation and funeral, including ceremonial caskets (if available) and cremation caskets. Families may also choose to have a service without the body present and with or without the urn present. This memorial may be as personalized as you wish, and it can range from an informal gathering at a chapel, home or other significant location to a larger ceremony at a church or funeral home. This type of service allows family and friends to pay tribute to a life well-lived and can take place before or after the cremation. Some families prefer a direct cremation with no services held before or after the cremation. Even when choosing direct cremation without a service, a family member or representative is strongly encouraged to visually identify the loved one after we receive him or her into our care and before the cremation. This final opportunity to say goodbye to the loved one in a peaceful and private setting may provide comfort and assurance, since cremation is an irreversible event. Other important decisions that will need consideration are selecting a container to shelter and hold a loved one until and during the cremation and choosing an urn in which to place the cremated remains (ashes) after the cremation takes place. The need to remember is universal, regardless of the type of service you choose. Consider the benefits of paying tribute to your loved one with a meaningful service and establishing a permanent place of remembrance. 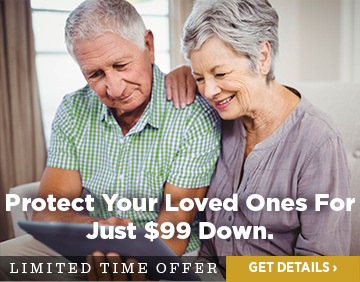 Contact us now if a loved one has passed away. Please contact us to receive information about cremation options and plans in your area. We do not sell or share your personal information. We have taken measures to ensure that your data is secure with us. At Cremation Society of Virginia, we make it a priority to take our users' security and privacy concerns seriously. We strive to ensure that user data is kept sercurely, and that we collect only as much personal data as is required to provide our services to users in an efficient and effective manner. We have taken measures to ensure that your data is secure with us. We are also members of various professional organizations, which expect the same level of excellent customer service standards that we uphold. For more information on any of these organizations, please click on their logos below. For more than 100 years, BBB has helped people find and recommend businesses, brands, and charities they trust.The BBB is dedicated to fostering honest and responsive relationships between businesses and consumers – instilling consumer confidence and advancing a trustworthy marketplace for all. By using a Comodo SSL, we use the most current encryption levels for online transactions. Each SSL certificate is signed with NIST recommended 2048 bit signatures and provides up to 256 bit encryption of customer data. J.D. Power captures the opinions and perceptions of millions of consumers annually. Their data and insights are used by companies worldwide to improve quality, satisfaction, and business performance, while their ratings aid consumers in making more informed purchase decisions. We are the only funeral and cemetery provider to use J.D. Power to measure our customer satisfaction. That the dead of our society should be memorialized through a commemorative means suitable to the survivors. The International Cemetery, Cremation and Funeral Association (ICCFA) is the only international trade association representing all segments of the cemetery, funeral service, cremation and memorialization profession. As a member of the ICCFA, Cremation Society of Virginia stands by their mission to provide exceptional education, networking and legislative guidance and support to progressive cemetery, funeral and cremation professionals worldwide.The association also assists consumers more directly through information resources, as well as through a complaint mediation service. Families across the country choose us rather than any other service provider because we offer the best combination of value, service, and expertise for over 40 years. Liz was very professional and sincere. She made us very comfortable during a very hard time. I never felt rushed during the process nor pushed to buy something we didn't need. We purchased many pieces of jewelry and we were very pleased with the results. I would definitely recommend Liz and the Cremation Society. I have already recommended this company! They were professional, yet kind and attentive. Prices were very reasonable and the options to choose from were easy to understand. Great place to interact with during one of the most difficult times in my life. Ashley was an amazing help to this process. She called me to schedule an appointment on her day off. She was friendly and caring. Her personality was phenomenal. She listened first which made choosing what I wanted much easier. She recommended a package deal based on what I chose, not what was most expensive. She took care in preparation and packing my items and was welcoming of my family 30 minutes early because of our drive. I would without hesitation recommend her services. In fact, both my grandparents made their request that, if still at CSV, Ashley handle their cremation as well. Thank you for guidance, appreciation, and peace of mind. I have to say the staff could not have been kinder and understanding. They handled everything so efficiently and professionally. They took care of my step dad’s and most recently, my mother’s cremation. I would highly recommend them. The entire process with the Cremation Society of Virginia was seamless & Ronnie Elder went above and beyond expectations and we will be forever grateful for all of his assistance during this difficult time! My husband, age 67, died suddenly. The only bright spot was my experience at the Cremation Society of Virginia. Christopher Eckard was most personable and made at least this part of a terrible experience bearable. He handled everything as promised and at a reasonable price. CSV staff were very compassionate and caring during our time of loss. They were easy to get a hold of, clear and honest in their communication with us while working to meet our schedule, going above and beyond expectations to iron out issues as they arose. Carol H.
Callaghan Derringer did an exceptional job handling my mother's loss after a small problem we had. She and her funeral director in the Richmond, VA office absolutely were kind and caring and exceptionally professional and all paperwork was done correctly and in a timely manner. They also provided something extra that I requested and that was so special. I will recommend them to anyone who needs exceptional service at a very difficult time. Many thanks. When my mother was on hospice care, the nurse suggested using CSV because Mom only wanted to be cremated and didn’t want to use anything else at a funeral home. The folks at CSV were so gentle over the phone, and later when they showed up at my home at 5 AM to pick up my deceased mother. They treated her body with compassion and handled her as if she were living. Ronnie Elder and his staff were very caring every step of the way, even contacting me after I’d picked up her cremains and death certificates, just to offer my condolences and an offer of any further assistance if needed. Thank you to CSV for making such a trying time go easier on our family. I live in Florida, my mother passed away in Virginia and her ashes were to be buried in N.Y. This required tri-state coordination and a timely delivery of services. Bobbi Jo Dymacek, the Funeral Director at the Richmond office, handled everything professionally and perfectly. We were able to conduct most of the required paperwork through emails and document scans, which was a great help to me, being out-of-state. Bobbi Jo kept me informed throughout each step of the process, and she went above and beyond when there was a snag (not caused by CSV) with my mother’s death certificates. In addition, the members of the Richmond team who came to my mother’s home to remove her remains treated my grieving sister gently and respectfully. I consider the Richmond CSV team to be a blessing to our family during this difficult time. I honestly and sincerely appreciate all they did for us and the excellent customer service they provided. My son and I were very impressed with Kristan she was very professional and helpful in explaining everything to us and when I went to pick up the ashes of my husband again she was helpful. Thank you! Jane M.
I would just like to say how much of a help and comfort Kristan and the Cremation Society of Virginia has been at my family's time of need. She guided us and took care and time with us to make sure that we understood everything. She went above and beyond for my family and me. Thank you again, Kristan. My adult son passed away unexpectantly last month. I wasn’t prepared for this to happen and was at a loss as what to do. In searching for information on cremation, I googled online cremation in Richmond, VA. Following I made a connection with Kristan Sivells who was totally incredible in how she worked with me from the beginning to the end of my first time ever experience with cremation. This person was so kind, compassionate, caring and helpful in every decision I had to make and every question that I had. She was never too busy to answer questions and help in every way. It was truly unbelievable how great my experience was because of Kristan. This was during one of the most tragic times in my life as I put my son to rest. I’m forever grateful the Kristan and the way she showed genuine love for my family. May God bless her abundantly! Ashley Safewright was fantastic. Every time I talked to her she was extremely nice and informative. She absolutely made things much much easier. A credit to your company. I recently lost my husband and Ashley & Christy made the process so much easier than expected on me & my family. They really went out of the way to go the extra mile, even delivering my husband’s Urn to me at my home. I would highly recommend them to anyone in their time of need. I will be using them for my own arrangements in the future. Many thanks to Clarence and his staff for the kindness I received. My precious Mother passed away in July at 105 years old. Clarence was very patient in his explaining procedures, cost, and timetables to me. I felt like he was family. The young man who transported Mom and the office staff were very respectful and caring. I have and will continue to recommend your services to others. Thank you. Ronnie Elder was very helpful and responsive. We had a special request and they were all accepted and fulfilled to the exact request. Thank you for your diligence and care working with me with the passing of my Mother. Many years ago my husband and I decided on cremation. Although he has had several major health issues over the years, this final event was so unexpected. I called for an appointment and met with Kristan Sivells. She was my saving grace, she led me through the process, what to expect and when. At that point, we were pre-planning. Little did I know within days we would finalize and process his remains. Kristan kept me in the know each step of the way, I put it all in her hands with no hesitation. Her knowledge, devotion to the client and personality are outstanding! My moms wish was to be cremated and when she passed away unexpectedly on July 13th I was devastated. However, a friend of mine had told me that she used Va Cremation Services for her brother. From the moment I made the first phone to them to when I received her ashes this past Monday I have been treated with such compassion and care. Bobbi Jo was an absolute pleasure to work with and all of the staff who work in the Richmond, VA location are equally as kind. I would suggest to them and their services to anyone. A big thank you again to everyone at Va Cremation Society for helping me honor my mother’s final wishes with dignity, care, and respect. The loss of my husband’s mother was very unexpected. From the moment I called until I picked up her ashes. Kristan was first and foremost compassionate, as well as kind, respectful and thoughtful. In this time of grief, she was a blessing. Veronica was very professional in handling my niece for my brother. We were from out of town and only had 1 day to take care of the paperwork. She took care of everything for us over the phone that she possibly could. All we had to do was come in, pick out the urn sign the papers and give them a check. They made sure we were comfortable while we were there. I would highly recommend Cremation Society of Virginia. Thanks again Veronica for your professionalism. Had my dad cremated here recently and it was a bit of a process but everyone was nice and helpful as law of Virginia allows. Jon is very professional; quick response to all questions and emails, very clear communication, and excellent work with very quick turnaround. I plan to refer others to him. Thanks Jon. A dear friend's ceremony was held here. The staff was wonderful, the interior was beautiful and respectful. It was a wonderful way to say goodbye to a dear friend. The area was carpeted, clean and warm. The interior was beautiful. I feel at peace that my 30-year-old friend was sent off beautifully. Privacy | Terms & Conditions | Opt Out | General Price List | Accessibility © 2019 Cremation Society of Virginia. All rights reserved.